For other people named Jack Walker, see Jack Walker (disambiguation). Owner of Blackburn Rovers F.C. Jack Walker (19 May 1929 – 17 August 2000) was a British industrialist and businessman from Blackburn, Lancashire. Walker built his fortune in the steel industry, amassing a personal fortune of £600 million. He then went on to become the owner and benefactor of Blackburn Rovers Football Club, winning a Premiership title under his guidance. The youngest of three children, Walker was born in Blackburn and left school at 13. Walker worked as a sheet metal worker and a conscript craftsman in the Royal Electrical and Mechanical Engineers. In 1951, following the death of his father Charles, Walker took over the family sheet metal business. Walkersteel was built from a back-street scrap metal business to a major force in the steel industry. By 1990 Walker had built up the business so successfully that it had become the largest steel stockholder in Britain, employing 3,400 people at 50 sites. In 1988 the business was making an annual profit of £48m. Walkersteel completed a major deal with GKN, purchasing subsidiary GKN Steelstock. Following this Walker decided it was the right time to sell and opened negotiations with British Steel Corporation. Walkersteel was sold for a reported £360m, the highest price ever paid for a private company at the time. Walker's sale of Walkersteel proved to be a less successful investment for its new owners British Steel, as the steel market entered a steep slump as a result of the early 1990s recession. The Walkersteel brand has been revived following Walker's death but is linked in name only. In November 1983 the WalkerSteel group took over Jersey European Airways, already being the parent company to Blackpool based airline Spacegrand. The two airlines were initially run separately until 1985 when they were amalgamated and Exeter became the airline's headquarters and base for technical services. The airline grew throughout the 1990s and was recognised in 1993 and 1994 when it won 'Best UK Regional Airline'. The new millennium saw the airline announce a new brand name at the beginning of May: British European. The rebrand reflected the size and scope of what was now the UK’s third-largest scheduled airline. July 2002 saw the start of a new beginning for the airline, British European was forced to dramatically change its business model to survive in such a highly competitive and aggressive new low cost travel era. Flybe was born and along with changes to commercial, fleet and operational policies that were to transform the airline. At the airlines Head Office in Exeter there are two buildings named in his honour: Jack Walker House and the New Walker Hangar both based on the Exeter International Airport complex. In 2013 Jack Walker's estate sold its entire 48.1% shareholding in Flybe. In 1988, Jack Walker donated building materials for the new Riverside Stand at Ewood Park. It is also thought that his money was used to pay for the acquisition and wages of Ossie Ardiles and Steve Archibald in the 1987-88 season. 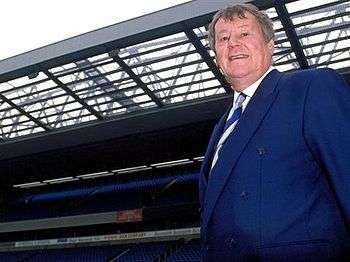 Walker took full control of the club in January 1991 with the intention of turning Rovers into the greatest and most prosperous club England had ever seen. He also threatened to make Manchester United look "cheap"  and within the first three years he spent £25 million on new players. This included breaking the British transfer record twice, signing Alan Shearer from Southampton for £3.3 million in 1992 and Chris Sutton from Norwich City for £5 million in 1994. The Ewood Park ground was reconstructed at a cost of more than £20 million to give it a capacity of just over 30,000, with the new Jack Walker Stand providing a lasting tribute. New training facilities and a youth academy were also constructed at Brockhall Village. When Jack Walker bought Rovers, the 1990-91 season was half completed and they were just above the relegation zone. Manager Don Mackay initially used Walker's funds to make signings which helped ensure Rovers survival that season, and built the platform for a promotion challenge in 1991-92. Walker declared his ambition early on that Rovers would return to the top flight, establish themselves as a top side in England and eventually go on to compete with the very best clubs in Europe. Kenny Dalglish became manager in October 1991, and by May, Rovers had been promoted to the newly formed Premier League through the play offs. In the 1994-95 season, Rovers won the Premiership title with arch rivals Manchester United finishing runners up. In the summer of 1996 Alan Shearer was top goalscorer at Euro 96 and was linked to domestic and international clubs. The main talk in the national media was of Shearer joining hated rivals Manchester United. Jack Walker and the Lancashire Telegraph constantly dismissed rumors of Shearer joining Manchester United. Local journalist Peter White stated that the club should never be forgiven should Shearer be allowed to join Manchester United. "Rovers should never be forgiven for allowing that to happen. They know they would never be forgiven if they let Shearer go to the club the Rovers fans love to hate. Fans might just live with a move to Barcelona or Milan but not to "that lot." Manchester United manager Alex Ferguson expressed anger over his failure to sign Alan Shearer from Blackburn Rovers. Ferguson stated "I had a gut feeling that it wouldn't happen simply because Jack Walker hates Manchester United." Martin Edwards also confirmed Ferguson's attempt to sign Shearer had been blocked by Rovers. Ultimately Shearer had to settle for a move to Newcastle United. Away from Walkersteel and Blackburn Rovers, Walker invested in property development in and around Blackburn. He sponsored First Tower United, and Jersey Rugby Club after moving to St Helier in 1974. On 17 August 2000, Walker died at 71 from cancer. Before his death, Walker had put in place a family trust structure to own his various business interests, including the club. Blackburn Rovers were sold by the Jack Walker settlement in November 2010 to Venky's. In September 2001, the Jack Walker Memorial garden was unveiled at the Blackburn End of Ewood Park. Standing in the middle is a statue of Walker. A road near Ewood Park was named "Jack Walker Way" in his honour. ↑ Glanville, Brian. "Jack Walker". The Guardian. London. Retrieved 2010-05-05. ↑ Savill, Richard (2000-08-19). "Local hero who led the Rovers to glory". London: telegraph.co.uk. Retrieved 2010-01-26. ↑ "Press Release". European Commission Press Release Database. 1 2 Fox, Norman (1992-08-16). "Profile: Money, money, money man - Jack Walker". London: The Independent. Retrieved 2010-01-26. ↑ "Jack Walker". The Daily Telegraph. London. 2000-08-19. ↑ "Flybe Flights". directline-flights.co.uk. Retrieved 2010-01-26. ↑ "Walker family sells Flybe shares". Manchester Evening News. 2013-11-13. ↑ Fox, Norman (1992-08-16). "Profile: Money, money, money man - Jack Walker". The Independent. London. ↑ "Kenny Dalglish at Blackburn". London: The Independent. 1996-08-23. Retrieved 2010-01-26. ↑ "League Table Premier League 94/95". Statbunker. Retrieved 2016-03-01. ↑ "Bid for Shearer wide of the mark". Lancashire Telegraph. ↑ "August 1996". When Saturday Comes. ↑ "Record Transfer Sees Shearer to Newcastle". themoscowtimes.com. ↑ "Farron fury at Rovers owners Venkys". The Sun. ↑ "Jack Walker dies aged 71". Lancashire Telegraph. 2000-08-18. Retrieved 2016-02-27. ↑ "Trust fund put in place". Lancashire Telegraph. 2000-08-18. Retrieved 2016-03-04. ↑ "Indian poultry giant Venky's completes takeover of Blackburn Rovers". The Guardian. 2010-11-19. ↑ "Statue stirs glory days of Uncle Jack". Lancashire Telegraph. 2001-09-26. Retrieved 2016-02-27. ↑ "Jack Walker Way - Google Maps". Google Maps. Retrieved 2016-02-28.